kabill had the most liked content! ShotDownBonus is the relations increase you get with the country the UFO is flying over for shooting it down. OnWinAgainst is where you can specify a reward for shooting down the aircraft (it is e.g. how you get stuff from fighters and other UFOs that don't spawn crash missions). But to the best of my knowledge, there's no way you could add in non-cash rewards for airstrikes specifically. IIRC they are in the aircrafts.xml file, in the entries for different kinds of UFO. 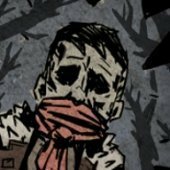 Can I suggest you open a new thread in one of the modding forums? Better to do it there than clutter this thread with something not linked to XCE. (I can't promise to be useful mind. It's a long time since I did any serious modding of Xenonauts and I only vaguely remember the details of how you might do this). Not really the tread for this but, in short, it can't without a large amount of work as you would need to make maps for GC missions to support them. If you didn't want them to be able to spawn GC missions (a la fighters and bombers) then that's a lot easier. But you'd need to rework the UFO missions to include the new UFOs you've added, as well as adding in the stats for the UFO in aircraft.xml. Maybe some other things too? Has been a long time. Oops! For what it's worth, I've been playing with the setting activated this afternoon and it makes a noticeable difference for the better. Is the new psionics system supposed to be active in vanilla XCE? I can find the variable in gameconfig.xml in the main XCE folder, which is set to use the old system according to the documentation on it. But I can't find an alternative setting in either the balance or settings XCE folders. I might be missing it somewhere though? Yes, definitely. I probably should have been clearer about this: my point here wasn't to suggest that this is the exact system you want. It's instead only to illustrate some of the points I've made elsewhere to highlight why I think they're important. If there's some interesting and/or useful thoughts in there, then that's all I was looking to do. I just figured it would be better to demonstrate through example rather than in abstract, to make those points more tangible. Air combat was more or less the only bit of Xenonauts I was never able to satisfactorily mod. The conclusion I came to seems to be the same as you with X2 (i.e. that it needs to be turn-based). So it's like picking up an old project. I'll add that your initial outline is a much better framework than anything I'd managed to think up at the time, so if I'm enthusiastic it's because I can see a lot of potential in it! 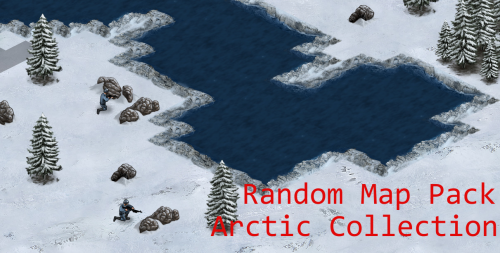 [v1.5/X:CE] Kabill's (Sort of) Random Maps! I think that's an important question (and probably worth putting on the Features thread rather than here as Chris is more likely to see it there). As I see it, there are two options: - A fast, largely automated system which gets on with the business of producing ground missions with minimal friction; - A strategic minigame which can stand on its own as an interesting and engaging set of systems. The latter is not inherently better than the former, but I have inferred from what Chris did in X1, and the suggestion of having a turn-based system in X2, that he is more inclined towards the latter and I've made suggestions which - in my opinion anyway! - would make that concept work better. If I'm wrong in my assumption, then actually I think X2 would be much better with a system similar to the original 1994 X-Com. A turn-based system is only worthwhile if there's some interesting/difficult decisions to be made and so the system needs to have sufficient complexity (and dynamism) to produce those. Without those, a turn based system is just making things slower and more cumbersome, without adding anything in return. That's kinda my concern about the idea that Chris outlined in the first instance: a turn based system that doesn't actually have much more to do in in than 1994 X-Com's and which is therefore slower and more cumbersome for no benefit. If it wants to stay turn-based, I think it needs refinement (maybe using some of the suggestions I've made). Otherwise, I think it actually just wants to clone the original X-Com's system, with improved functionality for multiple-aircraft interceptions, because that was a sleek, frictionless system which just got on with the business of generating crash missions without intruding on the game at all. It's great, if that's what you want (balance issues notwithstanding), and it owes most of that to not being turn-based. As a continuation of what I have been writing on the Air Combat features thread, I'm presenting here an example of how air combat might work, using Chris's original suggestion as a base and making some adjustments to address things which - in my opinion anyway - are problematic with it. I'll start by outlining some of the rules and then and example of it in action. Rules The basic rules are drawn from Chris's outline in the other thread but with some adjustments. Note that all die rolls are assuming six-sided (d6) dice, because that's what I have to hand. - There are 3 combat ranges (long, medium, close) each divided into three bands for the purposes of movement. - Weapon attacks have a chance to hit based on range: Long = 6+ / Medium = 4+ / Close = 2+ - Weapons have fixed damage. Some weapons have a maximum range. Some weapons apply a modifier to the to-hit roll. Regardless of modifiers, a roll of a '1' always misses and a '6' always hits. - UFOs and aircraft have a number of hitpoints. When all hitpoints are depleted, the UFO/aircraft is disabled. - Each turn is processed as follows: the UFO randomly generates its move (towards or away from the player aircraft) which is applied immediately; the UFO randomly generates its attacks for the turn but does not resolve them; the player moves and attacks with their aircraft in any order; the UFO resolves the attacks it generated at the start of the turn. - If an aircraft is already at maximum distance from the UFO, and the UFO moves away from the aircraft, then the distance moved by the UFO is subtracted from the aircraft's movement for the turn (representing it using some move to stay within the combat zone). Similarly, if an aircraft is already at maximum close range and the UFO moves towards it, then the distance moved by the UFO is subtracted from the aircraft's move (reopresenting the fact that the aircraft cannot easily escape from the UFO because of it's aggressive move). - At the end of each turn, the UFO charges 1 or more jump points. If the number of jump points reaches 5, the UFO jumps to high speed and escapes. Setup The player has intercepted a hypothetical corvette with two planes: a light condor equipped for close assault; and a heavier foxtrot equipped for long-range engagement. Their stats are: Condor: 5+2 HP (5 base + 2 for alloy armour module); Speed 4; Evasive (-1 to be hit); 1 autocannon (2x1 damage, ammo 3, close range only); 2 avalanche torpedo racks (5 damage each); afterburner utility module (on one turn only, move up to two additional bands; can be used before or after attacking) Foxtrot: 6 HP; Speed 3; 1 autocannon (2x1 damage, ammo 3, close range only); 4 stingray missile racks (3 damage each, +1 to hit); flares and chaff (on one turn only, reroll all successful attacks against the aircraft once). Corvette: 20 HP, Speed 2; 4 plasma beams (1 damage each); 1 plasma cannon (5 damage); ion burst (hits all aircraft within targeted zone automatically, 1 damage, targets cannot move or attack next turn); drive overcharger (charges an additional jump point if used) The corvette is not limited by ammunition but can only use its 4 plasma beams plus one of its other three weapons/utilities each turn. As such, there's a number of things to randomise each turn: - Does the corvette move away from (1-3) or towards (4-6) the attacking aircraft - Does it overcharge its drive (1), attack with its ion burst (2-3) or attack with its plasma cannon (4-6) - Does it spread its attacks (1-4) or focus fire on a single aircraft (5-6) Example (please excuse the quality of the diagrams!) On the first turn, the Corvette rolls to keep its distance from the attacking aircraft and overcharge its drive, meaning it will gain 2 rather than 1 jump point this turn. Because it is using its drive overcharger, it only gets to attack with its plasma beams, which it rolls to focus fire on my Condor (right hand aircraft). This doesn't leave me with many options - I can only move forwards with my Foxtrot 1 band this turn, and 2 with my Condor, which I'm happy to keep back anyway this turn as it's under heavy fire. So I move the aircraft forwards, and hold my fire as I'm at long range and likely to miss (in retrospect, I should have fired a stingray volley with my Foxtrot as with the overcharge it won't have enough turns to fire all its missiles now, but I forgot at the time). The UFO fires its plasma beams and, needing 6s to hit, misses with all of them. Starting the second turn, the Corvette now has 2 jump points, meaning I only have three turns (including this one!) to shoot it down. The Corvette this turn rolls for an aggressive move towards my aircraft, rolls to fire its powerful plasma cannon at my Foxtrot, and splits is plasma beams between my two aircraft. For maximum damage, I could advance my both my aircraft forwards but that is especially risky for the Foxtrot which would be facing up to 7 damage (enough to disable it) from 2+ to hit attacks (note that if I could fire all of my weapons in the same turn, the obvious move would be to advance both aircraft to close range and fire everything which would almost certainly disable the UFO. But because I can only fire 1 missile rack from each aircraft, I'm limited to 12 damage maximum which is not enough to defeat the Corvette and I would have to suffer close-range fire. This is why I think limiting player attacks per turn is really important). Instead, then, I opt to drop my Foxtrot back to long range, but it will still fire a stingray missile because I have fewer turns than I have ammunition to attack with now anyway. I need a 5+ and sadly miss. With the Condor, I take more of a gamble, charging it into close range and relying on its alloy armour, evasiveness and luck to keep it safe (it can only take 2 damage max this turn anyway). I attack with one avalanche torpedo rack and a cannon burst (which gets two shots), hitting on 2+. All my attacks hit and I get 7 damage on the UFO. The UFO then fires in return. Needing 6s against the Foxtrot, again I get lucky and everything misses. Needing 3s against the Condor (usually 2+ but with a -1 penalty for it being evasive), it hits with one plasma beam, causing one damage. On to turn three. The Corvette now has 3 jump points, so there are maximum two turns left. It rolls the same actions as last turn: advance, plasma cannon targeted against the Foxtrot, and plasma beams split between the two aircraft. This isn't great. I only have two turns to bring the UFO down and my Condor by itself doesn't have enough firepower, so I need something from the Foxtrot too. But the Foxtrot is once again under heavy fire and a few unlucky rolls could kill it. I decide to take the gamble, moving the Foxtrot forwards so it's just outside of close range, but I also deploy its flares and chaff, which means hits against it this turn will get rerolled. At medium range, I can then attack with a rack of stingray missiles with 3+ to hit, and they just do, causing 3 damage (total now 10). The Condor is in less danger, but I would still like to minimise its risk. Here my afterburners come into play. I move the Condor to the edge of close range, fire my second and final avalanche torpedo volley (which hits for 5 damage) and another shower of cannon spray (1 hit and 1 miss, total 16 damage now). Then I use my afterburners (which can be played after an attack) to move back another band, into medium range, to reduce the chance of being hit by the Corvette. Now the Corvette's turn, it attacks my Foxtrot needing 4s, hitting with one plasma beam and the plasma cannon. This would be enough to kill the Foxtrot, but it's flares and chaff force rerolls. I get lucky: the plasma beam still rolls a hit but the plasma cannon misses, so the aircraft is safe. Against the Condor, needing 5s, one plasma beam hits (total 2 damage) and the other misses. We're on to the final turn - if I don't kill the Corvette this turn it will escape. Fortunately, my gamble last turn paid off, netting me some extra damage without cost, and leaving both aircraft in a position to move into close range to attack even if the Corvette moves away. Need only 4 damage in total, with another stingray and 4 autocannon shots at 2+ to hit is more than sufficient. Victory! Reflection This probably all looks very complicated, but consider that all the player would be doing is moving their aircraft and issuing attacks, so in play the basic system would be quite simple. In any case, I think this prototype shows how it can produce some dynamic combat situations and create situations where there are some difficult/interesting choices to be made. It also affords scope for some "special move" utility items and provides roles for different weapons and aircraft. I reckon something like this could work very well, then. Sorry, was adding comments for my benefit as much as anything else to make sure I didn't miss anything. 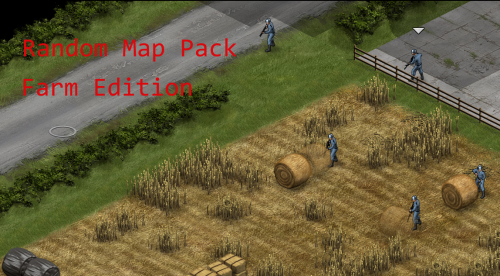 The random map packs have been re-uploaded to the forum and can be accessed through the Downloads tab.